As part of our garden landscaping and driveway service Oakleaf Driveways install fences, fencing and gates. We’ll source the best quality timber fencing and panels for each installation. 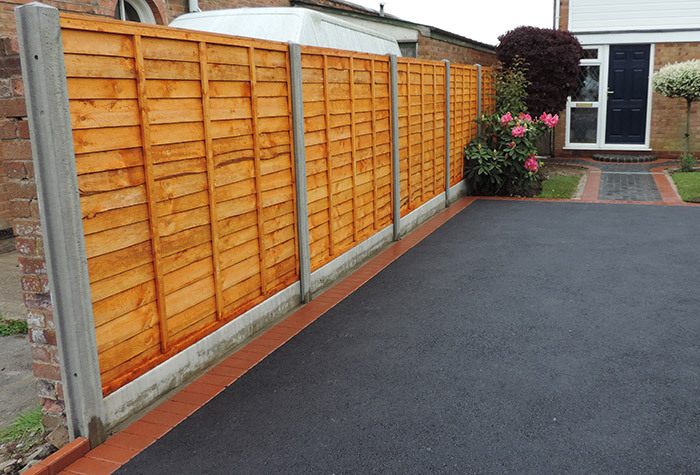 Whether you need a timber fence, concrete fence posts or a gate installed we can help. We also undertake timber fence repairs. As you’d expect from Oakleaf Driveways the service and finish will be second to none. Timber Fences and Gates Gallery In our portfolio we have examples of timber fence installations.